In April 2009, a modest middle-aged woman from a village in Scotland was catapulted to global fame when the YouTube video of her audition for "Britain's Got Talent" touched the hearts of millions all over the world. From singing karaoke in local pubs to a live performance with an eighty-piece orchestra in Japan's legendary Budokan Arena and a record-breaking debut album, Susan Boyle has become an international superstar. This astonishing transformation has not always been easy for her, faced with all the trappings of celebrity, but in the whirlwind of attention and expectation, she has always found calm and clarity in music. Susan was born to sing. Now, for the first time, she tells the story of her life and the challenges she has struggled to overcome with faith, fortitude, and an unfailing sense of humor. 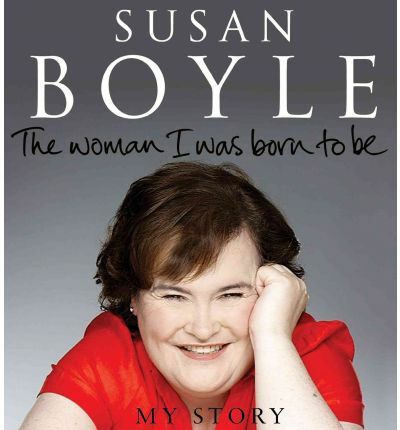 About the Author: Susan Boyle was born, and still lives, in Blackburn, West Lothian. She shot to global fame on April 11, 2009, when she appeared on Britain’s Got Talent, singing "I Dreamed a Dream" from the musical Les MisÉrables. This is her first book.